The gastric balloon is a non-surgical weight loss option for adult obese patients who are unable to lose weight with traditional methods. During a short, minimally-invasive procedure, an inflatable weight loss balloon is placed in the stomach. The balloon stays in place for six months to help the patient feel full, eat less, and lose weight. Patients can choose from ReShape or Orbera or Obalon gastric balloons that have been FDA-approved for weight loss. If you’ve struggled with your weight and you’ve tried using diet and exercise programs without success, you may be a good candidate for a gastric balloon. The device also called a stomach balloon or weight loss balloon, is an FDA-approved weight loss method that might help you slim down without going under the knife. “This is not surgery, but you still get weight loss benefits,” says Dr. John Morton, Chief of Bariatric and Minimally Invasive Surgery at Stanford University School of Medicine. “People should have options,” he says. Dr. Rachel L. Moore agrees. Dr. Moore is an obesity medicine specialist, metabolic surgeon, and founder of Moore Metabolics Bariatric Weight Loss Surgery in New Orleans, Louisiana. “This is a procedure that we can offer that falls between medication and a surgical procedure,” she says. Patients also like that the gastric balloon is temporary and reversible. The stomach balloon stays in place for six months and may be removed sooner if you develop complications or have second thoughts. "People can learn the lifestyle skills that they need for weight loss in the six months that the balloon is in,” says Dr. Morton. There are three different gastric balloon systems available to patients and each device is part of a comprehensive program that includes diet, exercise, and counseling. The ReShape Integrated Dual Balloon is one of two devices available to patients who want to try a non-surgical weight loss system. How does the ReShape Dual Balloon work? This FDA-approved weight loss system consists of two connected balloons that are inserted into your stomach. During the insertion procedure, you are mildly sedated for both comfort and safety. The doctor inserts an endoscope through your mouth and uses the thin, tubular device to place the deflated balloons carefully into your stomach. Once the balloons are in place, they are filled with a saline solution (salt water) and a blue dye. The procedure takes about twenty minutes. Reshape balloons stay in place for six months, taking up space in your belly and helping you to feel full so that you eat less. During that time, you also receive counseling to improve your diet and exercise habits. If the balloons break, the blue dye shows up in your urine. After six months, an endoscope is again used to remove the balloons from your stomach. Counseling continues for another six months after the device is removed to help you move forward in your weight loss journey, reach your goal weight and/or maintain the weight loss. Who can get ReShape? This gastric balloon weight loss device is FDA-approved for patients with a body mass index of 30-40 kg/m2 and who have a weight-related condition. Diabetes, high blood pressure, or high cholesterol are conditions that are often weight-related. Patients must also be willing to commit to a full weight loss program that includes diet, exercise, and counseling. Who should not get ReShape? If you’ve had bariatric surgery in the past, then ReShape is not for you. There are other medical conditions that your doctor will check for that might eliminate ReShape as an option for you. Patients with gastrointestinal inflammatory disease, gastrointestinal bleeding, or a hiatal hernia, for example, should not use ReShape. The device is also not approved for pregnant or nursing mothers. Side effects: Before the procedure, your doctor will explain that there are some risks associated with the sedation. Side effects associated with the balloon include ulceration, perforation, abdominal pain, nausea, vomiting, bloating, belching, heartburn, dehydration, and sore throat. If symptoms become severe, the stomach balloon can be removed. Your weight loss doctor can explain the full list of side effects and risks during your pre-procedure consultation. Results: During a 6-month clinical study that included 326 patients, those who used Reshape lost more weight with the device along with a supervised diet and exercise than patients who participated in a supervised diet and exercise program alone. After having the device in place for six months, ReShape patients lost an average of 14.3 pounds compared to the diet and exercise group who lost an average of 7.2 pounds. After an additional six months (after the device had been removed for 6 months), the ReShape patients had maintained an average weight loss of 9.9 pounds. The Orbera Managed Weight Loss System has been available in other countries for several years, but was FDA-approved in the United States in 2015, at about the same time as the ReShape Dual Balloon System. How does the Orbera gastric balloon work? If you choose Orbera, you'll go through a similar non-surgical (endoscopic) insertion process as the ReShape balloon. But Orbera is a single gastric balloon system. After the soft, durable, weight loss balloon is inserted, it is filled with saline solution so that it becomes about the size of a grapefruit. The belly balloon takes up about one-third of your stomach. The device stays in place for six months while you participate in a complete program of diet, exercise, and counseling. After six months, the device is removed and you continue counseling for an additional six months to proceed in your weight loss journey. Who can get Orbera? This single balloon system is FDA-approved for patients with a body mass index (BMI) of 30-40 kg/m2 and who have tried other weight loss methods without success. If you choose Orbera, you should be willing to commit to a medically supervised diet and exercise program for improved health and weight loss. Who should not get Orbera? Certain patients should not use Orbera and your doctor can tell you if you are one of them. If you are pregnant, planning to become pregnant within six months’ time, or breastfeeding then you should not get Orbera. In addition, if you have had previous bariatric surgery or if you have certain medical conditions including inflammatory disease of the gastrointestinal tract, hiatal hernia, or an upper gastrointestinal bleeding condition, you may not be a candidate for Orbera. Side effects: Your doctor will explain that there are some risks associated with mild sedation and endoscopy. Complications with the Orbera device may include blockage of the bowel by the balloon, stomach discomfort, nausea, vomiting, abdominal or back pain, or acid reflux. Your weight loss doctor can explain the full list of side effects during your pre-procedure consultation. Results: In a 9-month clinical study that included 255 patients, patients who used Orbera lost more weight than patients who used a behavior modification program. After having Orbera in place for six months, patients with the device lost 21.8 pounds compared to the behavior modification group who lost an average of 7 pounds. At a 9-month follow-up (three months after the device was removed), patients who used Orbera maintained an average weight loss of slightly more than 19 pounds. Patients who used diet and exercise alone maintained a weight loss of 7 pounds on average. The Obalon Balloon System is the newest product available to patients. Obalon is a swallowable three-balloon system that received FDA-approval in 2016. Obalon gastric balloons are filled with air rather than fluid. How does the Obalon gastric balloon work? Patients who choose Obalon swallow a small balloon capsule. The capsule is attached to a thin catheter that is used to inflate the balloon with air. Up to three balloons may be placed gradually over the course of three months. Each inflated balloon occupies approximately one cup of volume in the stomach and is roughly the size of an orange. With the balloons in place, patients feel full and are less inclined to overeat. Both during and after the treatment period, patients receive counseling to help them learn healthy eating and exercise habits. At the end of treatment, the balloons are deflated and removed with an endoscopic procedure. Who can get Obalon? This single balloon system is FDA-approved for patients with a body mass index (BMI) of 30-40 kg/m2 and who have tried other weight loss methods without success. As with the other gastric balloon systems, you should be willing to commit to a medically supervised diet and exercise program for improved health and weight loss. Who should not get Obalon? Certain patients should not use Orbera and your doctor can tell you if you are one of them. The Food and Drug Administration also includes a list of patients who should not use the device. The list includes people who have disorders that may affect swallowing, those who have had prior surgeries that may have led to a narrowing of the gastrointestinal tract, and those who take medications that may irritate the gastrointestinal tract including NSAIDS or aspirin. Side effects: Patients who choose Obalon may experience abdominal pain or nausea. Less common side effects include vomiting, indigestion, bloating, diarrhea, gastric irritation or bleeding, esophageal bleeding or abrasion, constipation or difficulty sleeping. Your weight loss doctor can explain the full list of side effects during your pre-procedure consultation. Results: A clinical study that included over 400 patients, showed that those who used Obalon along with diet and exercise counseling lost more weight than those who received diet and exercise counseling alone. Patients who received the Obalon Balloon System lost an average of 14.4 pounds or 6.6 percent of their total body weight while patients who received diet and exercise counseling alone lost an average of 7.4 pounds or 3.42 percent of their total body weight. So how do you know which gastric balloon to choose? 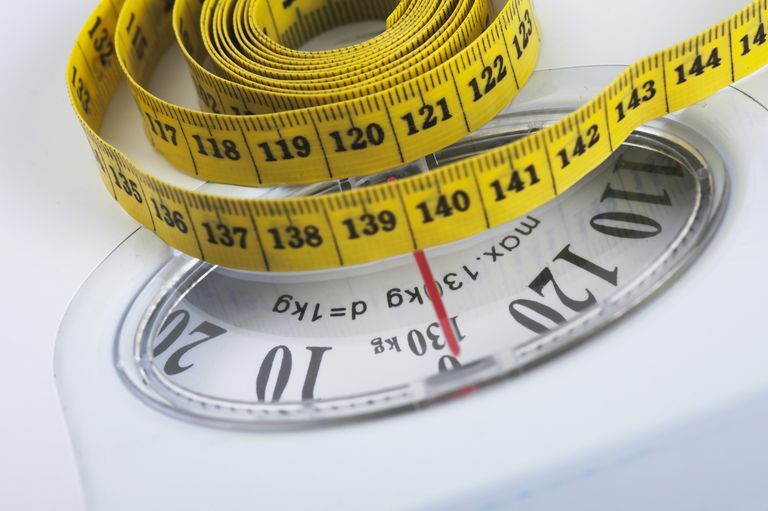 If you are in the process of finding a weight loss doctor, you may find that many bariatric specialists have already chosen to provide one device over the other. Dr. Moore, who provides the Orbera gastric balloon to her patients, says that she chose the single-balloon system because it has a track record for safety and effectiveness in other countries. She points out that even though the device is new in the United States, it has been widely used and very popular in other countries including Brazil, Italy, and Spain. Dr. Morton provides ReShape to his patients. He says that he uses ReShape because when you use two balloons you can avoid the complications that might occur if a single balloon deflates. And because Reshape is larger and occupies more of the stomach, he says that he has noticed less balloon movement and less nausea in his patients. Dr. Trace Curry offers both Obera and ReShape at his weight loss center. Dr. Curry is a board-certified general surgeon and medical director of Metabolic Weight Loss Centers in Cincinnati, Ohio. He was the first surgeon in Ohio to provide both Orbera and ReShape gastric balloons. He says that when his patients ask him which balloon to choose he tells them that their results will depend more on their efforts than on the brand that they choose. "Reshape is slightly more expensive," he says. But he has found in his practice that there are slightly fewer complications with the two-balloon system. "But Orbera," he says, "has demonstrated slightly better weight loss in clinical trials." He adds that both gastric balloons can provide a benefit. And Dr. Morton agrees. "Any intervention is better than none at all," says Dr. Morton. But each of the doctors confirms that the balloon is not a magical solution for weight loss. If you want to lose weight with the balloon, you must be willing to commit to long-term lifestyle changes. The price of your stomach balloon will vary depending on your location, your doctor and on the device that you choose. The total gastric balloon cost can range from $6,500 - $10,000. Many clinics offer the service for about $7,500. The total cost of the gastric balloon system should include the device, insertion, removal, counseling during the six-month balloon stage and counseling for six months following the removal. The gastric balloon is currently not covered by insurance in the United States, but all three physicians interviewed said that they were hopeful that coverage would eventually be provided. In the meantime, patients can use a health savings account or healthcare lending services (medical loans) to cover the cost of the procedure. Keep in mind that you should take more than cost into consideration when you choose a gastric balloon and a doctor to insert the device. Experts recommend that you should always look for a board-certified physician with experience inserting the device. If your physician is part of a comprehensive weight loss center, you'll have access to face-to-face counseling that may help to keep you on track. And of course, since safety is always important, look for a facility that is accredited through a national agency such as The Accreditation Association for Ambulatory Health Care (AAAHC) or The American Association for Accreditation of Ambulatory Surgery Facilities (AAAASF). Can CLA Supplements Help With Weight Loss?